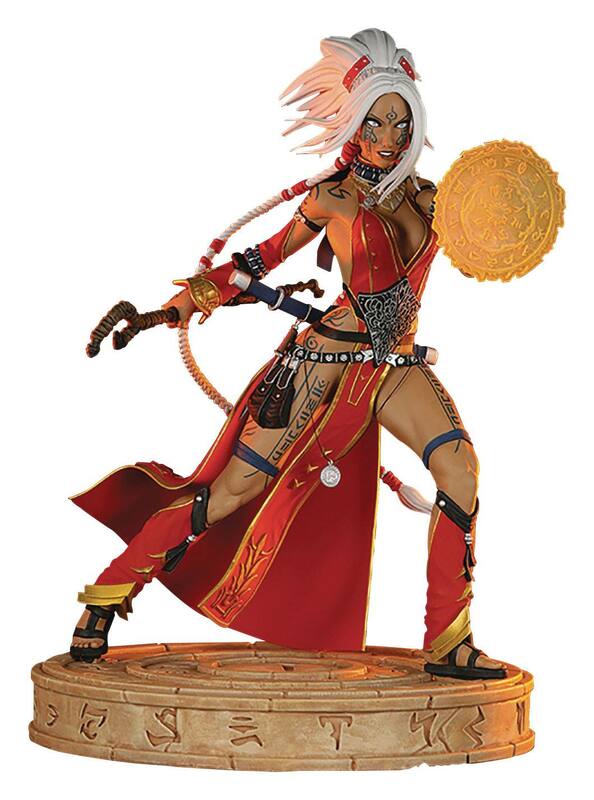 The world of Pathfinder comes to life in this stunning. hand-painted. collectible statue of the renowned sorcerer. Seoni. Highly detailed from head-to-toe. and standing just over 30 cm tall. this quality. resin figure features removable spell effect. and intricate tattoo and clothing reproduction. Fans have never been offered a Seoni like this before. and this extremely limited run means it may never be offered again!